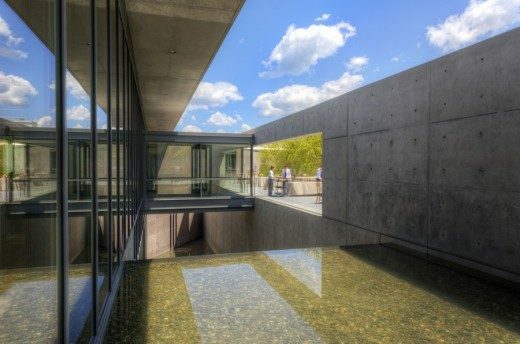 The project adds more than 13,000 square feet of gallery space to the campus, supporting the Clark’s expanded collection and exhibition programs, and establishing the Institute as a leader in best practices for sustainability and energy efficiency. 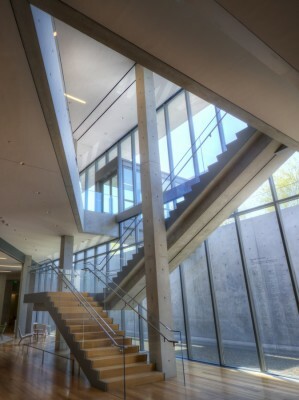 Selldorf’s design for the renovation of the Manton Research Center—a 1973 building designed by Pietro Belluschi with The Architects Collaborative—reinforces the building’s purpose as a center for research and academic activities, and as home to both the Williams College Graduate Program in the History of Art and one of the largest art history research libraries in the country. A key element of the ongoing renovation is the transformation of the former visitor services courtyard to a new reading room, bringing the public closer to the study of art. 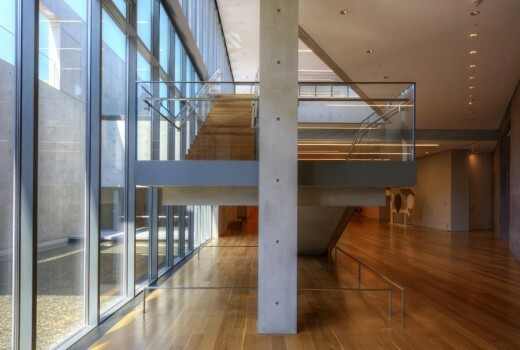 Selldorf also has designed a new Manton Study Center for Works on Paper on the main level with an adjacent gallery for regular exhibitions of the Clark’s prints, drawings, and photography collection, as well as a gallery space dedicated to the Manton Collection of British Art. Other highlights include a new bookstore and coffee bar. 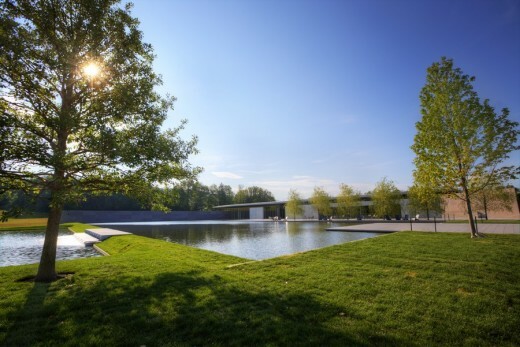 Reed Hilderbrand Landscape Architecture, led by principal Gary Hilderbrand, worked in close collaboration with Tadao Ando to articulate a dramatic new landscape design for the Clark that achieves new levels of environmental sustainability and creates an exceptional visitor experience. The unifying element of the landscape is the tiered reflecting pool that is the focal point of the new main campus and unites the three surrounding buildings with the natural setting. 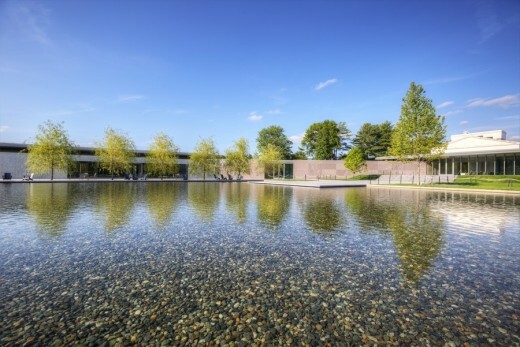 The reflecting pool is at the heart of an integrated hydrology program that significantly reduces the Clark’s consumption of natural resources and enhances its land management practices. Other key elements of the design are substantial new plantings of native species, including some 1000 trees and the concurrent removal of invasive plants; upgrades to the existing network of walking paths and trails; a new entrance drive; and landscaped parking areas that accommodate 398 vehicles. On view in the West Pavilion gallery of the Clark Center, Cast for Eternity presents some of the finest surviving examples of early bronze work from the Shanghai Museum’s exceptional collection. These rare bronze works represent the finest quality craftsmanship and artistic accomplishment from China’s Bronze Age. This exhibition continues the Clark’s partnership with China’s Ministry of Culture and a number of Chinese cultural institutions, originally inspired by the centennial commemoration of Sterling Clark’s early scientific expedition to northern China. The curatorial team, led by Tom Loughman, associate director of the Clark, includes representatives from the Clark and the Shanghai Museum. Cast for Eternity is organized by the Shanghai Museum and the Clark Art Institute, and is supported by the E. Rhodes and Leona B. Carpenter Foundation and the Asian Cultural Council. The exhibition is designed by Selldorf Architects. Installed in the intimately scaled galleries and surrounding outdoor spaces of the Clark’s Lunder Center, Raw Color: The Circles of David Smith presents a selection of works by one of the most celebrated sculptors of the twentieth century. The exhibition marks the first time in more than thirty years that all five of the key sculptures from Smith’s Circle Series (1962–63) are shown together. Its presentation on the Clark’s Berkshires campus creates a setting that is similar to (and less than one hundred miles away from) Smith’s Bolton Landing, New York home where the artist created and installed them. This exhibition is curated by David Breslin, associate director of the Clark’s Research and Academic Program and associate curator of contemporary projects. Jackson Pollock’s iconic painting Number 1, 1950 (Lavender Mist), along with key paintings by Mark Rothko, Barnett Newman, Jean Dubuffet, Cy Twombly, Helen Frankenthaler, Jasper Johns, and Yayoi Kusama. Ranging from experiments with color and geometry to works in cloth, wax, and other materials, Make It New looks at the ways in which artists continued to expand the definition of painting during this time. 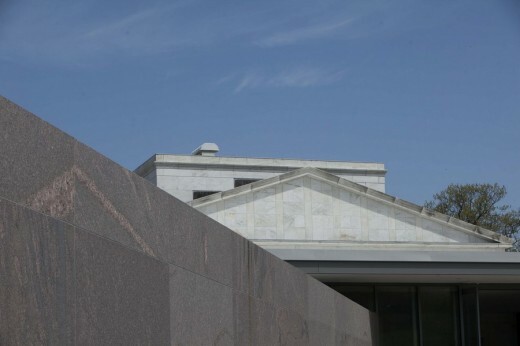 This exhibition is organized by the National Gallery of Art, Washington, in collaboration with the Clark, and is curated by Harry Cooper, curator of Modern Art, National Gallery of Art and David Breslin, associate director of the Clark’s Research and Academic Program and associate curator of contemporary projects. The Clark Center aims to achieve LEED – New Construction Silver Certification from the United States Building Council (USGBC). Funding for this project has been provided by the Massachusetts Cultural Facilities Fund: a program of the Commonwealth of Massachusetts, administered through a collaborative arrangement between MassDevelopment and the Massachusetts Cultural Council. New Facilities: The project adds a total of 97,700 square feet of space to the Clark’s campus, including the Clark Center, the Lunder Center, and the physical plant facility.